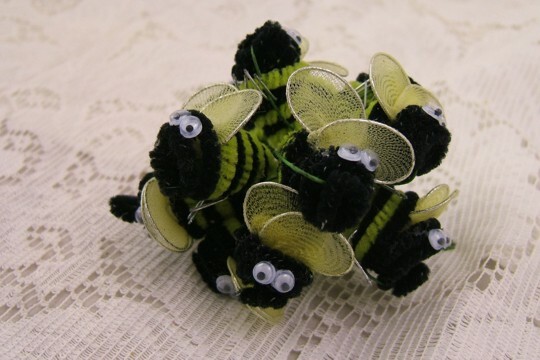 These adorable chenille bees are not quite vintage - but, they are a lot like the vintage ones. 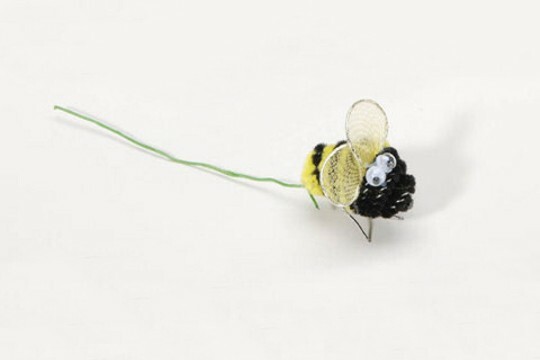 They feature wired tulle wings and fun googly eyes with silvery wired legs. Their bodies are made of alternating black and yellow chenille. You can easily reposition almost everything on them. The wings move apart and the feet are repositionable. They arrive on green floral stems that are twisted together too keep the swarm safe. 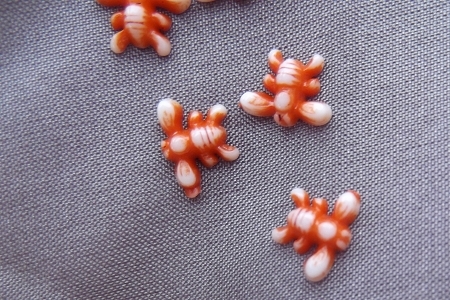 Each one measures about 1 inch from front to back and about 1 inch high. Of course, these measurements all change if you re-arrange the wings and more!